Lately, there's been a veritable spate (I love that word!) of new Scandinavian crime fiction authors who seem to be just popping out of the woodwork -- much to my great delight. 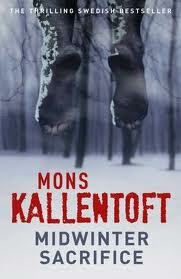 With Midwinter Sacrifice, I've now discovered Mons Kallentoft, a writer who offers an intense story that kept me reading all day. While some of the plot was easy to figure out, the writing, the characters, and the exploration of small-town life and its secrets that permeates this solid police procedural drew me in and kept me there. Above all, though, Kallentoft is very good at creating atmosphere and maintaining it through the end -- a quality that I greatly admire in an author. Detective Malin Fors lives in the Swedish city of Linköping with her young, 13-year-old daughter Tove. On a freezing cold morning, temperature minus 30, Malin and her partner arrive at the scene of a most brutal crime: a man hangs from a tree, noose around his neck, savagely beaten and finished off with a knife. He hadn't hanged himself; it was obvious that whoever murdered him had left him there. He is identified as Bengt Andersson, a loner unable to work due to mental health issues. He's one of those eccentric guys that everyone makes fun of; or who some see as a target for harrassment; a man who loved waiting outside the fence at the local soccer field so he could retrieve balls that came his way. Once he is identified, the investigation begins in earnest. There are different theories of the crime, but the first clue the detectives uncover is a rumor that as a boy, Andersson had put an axe into his father's head. Just who was Bengt Andersson, and what kind of person was he that someone would unleash so much violence against him? While Fors is busy with the case, she's also busy trying to look after her daughter as Tove moves from a little girl into a teen with her own secrets and her own life. She's a very plausible character, with family issues stemming from her childhood and her ex-husband, trying to balance as best she can her own needs, those of her daughter, and the demands of the job. But as a cop she's not a grandstander ; she works very well with her colleagues, who also have their own set of family and personal challenges that must be balanced against the needs of the department. She's an interesting character, as are her co-workers, but this is the first installment of a series and characters are rarely as fully formed at the outset as they later come to be. At the same time, the author is off to a very good start with these people. I can't wait to see their emergence once the series gets rolling. The plot is solid and credible, and although the author offers a great deal of Malin's personal life in the telling of this story, it is not overdone to the point where the core mystery or the investigation is drowned out by too much extraneous home-life information or interior monologue. I really hate when that happens, but for the most part, the storyline is well attended and moves at a good pace. There are a few tangential episodes that probably could have been left out without any damage, but once again, the return to the main plot was never far behind. And throughout the entire book, a chill seeps through the skin of the reader -- not just in terms of the freezing winter, but in the uncovering of some of the more awful secrets that exist behind the closed doors of a small town, producing a darkness in tone that rarely lets up. And this wouldn't be Scandinavian crime fiction without bringing in the social and economic issues plaguing these small towns as well, only adding to the atmosphere. "An investigation consists of a mass of voices, the sort you can hear, and the sort you can't. Our own, and others. You have to listen to the soundless voices, Malin. That's where the truth is hidden." And it is true that the dead speak -- normally, with the clues that are left behind, or in their victimology in general. But in this book, the author takes it a step further, so that the victim in this case serves as a sort of a Greek chorus, a foreshadower of events to come, a device to move the story forward. And I discovered that as dead set against this sort of thing as I am, it sort of works here in that way. The only time I didn't like how it was used was when the dead man's thought connected with a living person in very deep emotional straits -- a bit overdone, I'm afraid, for my taste. I just hope this deadspeak doesn't become a standard feature in the rest of the series. Second, although the killer's voice is heard as well in monologue, not a new device by any means, sometimes it was a bit overwrought in tone and I felt it could have been scaled back some. My issues here are based on personal taste, so it's a matter of your own comfort zone. Overall, Midwinter Sacrifice is a fine series opener, a good police procedural with characters that need a bit more fleshing out but which are pretty well drawn for a first series installment. My concerns are very minor compared with the entire day I spent being transfixed with this book (and I did spend all of today reading it without doing a blasted thing otherwise), and they're largely issues that appear in many first series novels. The translation flowed -- there were no awkward moments here whatsoever to cause any sort of pause. 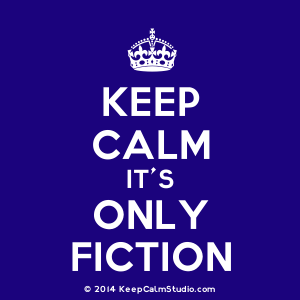 If you're cool with dead men thinking out loud, then the only other thing that might give readers pause is the ending, which I will not go into -- suffice it to say it may leave some readers scratching their heads. I'll recommend it to readers of Scandinavian crime fiction, but don't expect a gimmicky serial killer with lots of thrill ride attached if that's what you're into. Margot: Seriously, I'd give it like 3.5 stars (actually I just did that on goodreads, but you have to round it up to 4. Sheesh!) The series has potential to be very good but LOSE THE GHOSTY stuff! I have a bunch of occult/paranormal mysteries that I'd file under fantasy...it just shouldn't mix with real crime fiction. My humble opinion. I did like this book overall, but felt some elements were a bit cliched (the teenage daughters and relationship angst of Marlin for example). Although I did not like the "dead man speaking" parts (and they did not seem that relevant to the plot in the end?) I thought they were very well translated/written. I most liked the small-town atmosphere in the book, but there really were too many plot elements that did not go anywhere (Malin's parents). The main plot was over-long, and to my mind the most compelling part was treated as a side issue. But I'll read the next. The teenage daughter/mother relationship thing is getting to be a standard ... I agree. The parents thing that was left undone I figure it is in the next book and has some plotline thing that goes on. The deadspeak...did not like except for as a foreshadowing and yes, it was totally irrelevant. That's why I gave it 3.5 stars. 3 stars is generally an iffy for me rating; I try not to rate below 3 unless I totally hate it. Artsy in a crime fiction novel just doesn't do it for me.